Check out the Rain Maker Conservation Project: Enjoy a comfortable walk along well engineered trails that weave up beside a mountain river, cascading down through the lush tropical primary rainforest. 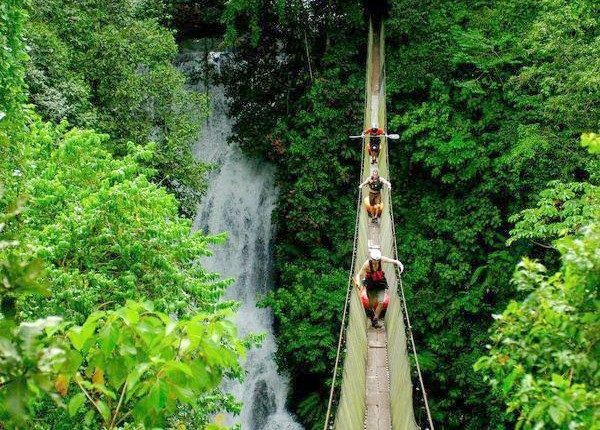 You’ll stroll along the river and take a canopy walk on a great suspension bridge system and explore the majesty of the canopy from a bird’s eye view. You’ll have an opportunity to swim in the river. The Rain Maker Conservation Project covers a surface area of approximately 1,350 acres, of which 80% is primary forest.